It's time for the Verve Divas to bring you our monthly Diva Inspirations Challenge and Blog Hop! There are two ways to win Verve prizes: comment on the design team's blog hop posts (linked below) to see their take on the inspiration, then go get inky and link up your take on the challenge to be eligible in our prize drawings! You have the rest of the month to link up, so feel free to play as often as you like. Stripes go with everything! Make them nautical, or pair with florals for a graphic look. Use stripes however you're inspired! Use the inspiration graphic or head off in your own direction, just show us your stripes! Challenge deadline: Saturday, July 31. Prize: $30 gift voucher to the Verve online store! How dreamy are these soft beach colors? 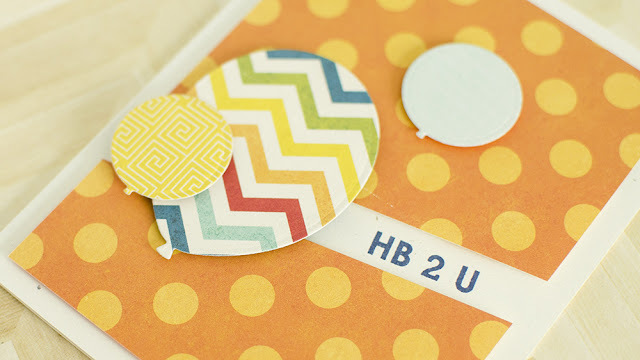 I adore this color combo and pretty much stole that stripe pattern too. I grabbed this week's Mojo Monday Sketch for more inspiration. 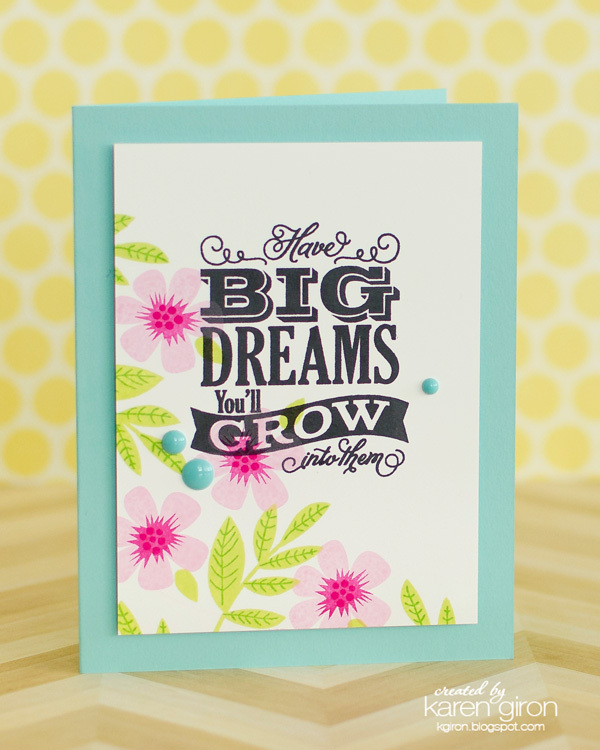 I created the striped background using Borderline in Smoke, Fog, and Spring Rain inks and then layered the blossoms from Bloom & Grow over a circle die with a sentiment from Words of Wisdom. 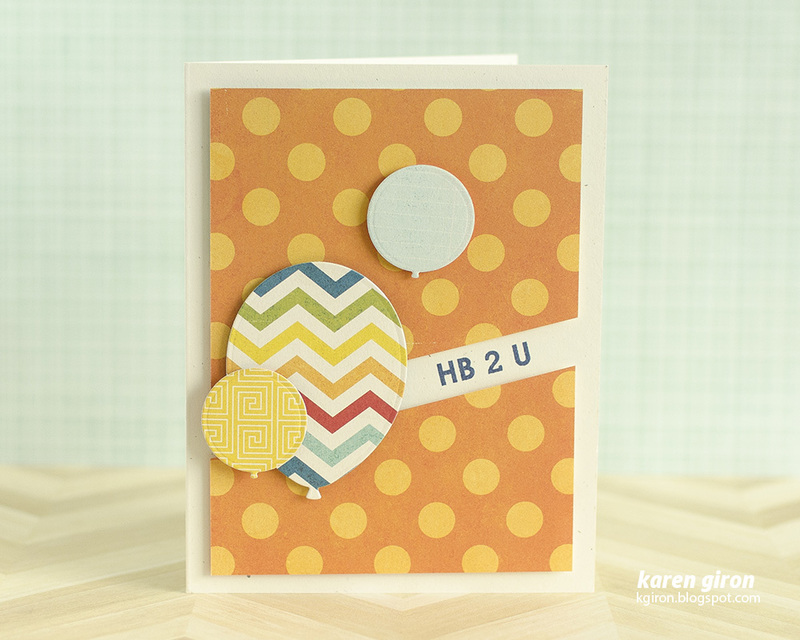 The heart background was also made using another stamp from Borderline. I can't get enough of that set, let me tell you! It's fantastic. Look for Me at MFT! Hello there! I have another fun card for you all at the MFT Blog. I hope you'll hop on over and check it out. Good morning! 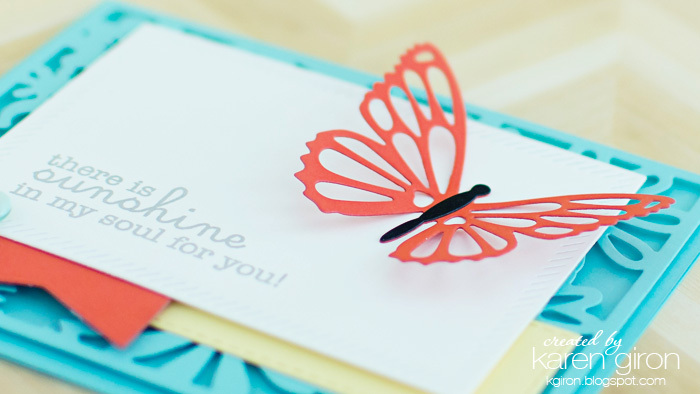 I have a little something fun for you over at the My Favorite Things Blog today. It would make me so happy if you would hop on over and take a peek. I started by creating the polka dot background by cutting a sheet of patterned paper to 3-3/4" x 4-1/2" and then cut it at a diagonal about 1/3 of the way up from the bottom. That gave me a 1/2" space to stamp my sentiment. I used more patterned paper from the same Echo Park paper pack to make the balloons, which I popped up over both sides of the diagonal. I realized when I edited my photo that I forgot to add strings! Oh well. They'll just be floating in space here. Be sure to stop by the Sweet Sunday Sketch Challenge Blog where you can see more inspiration from the design team and link up your project too! Good morning and happy Sunday! I'm back with a new Sweet Sunday Sketch and I even broke out my Copic Markers for this one. Please excuse my phone photo here - my computer, with all my photo editing software and watermarks is in the shop for the time being, and so this will have to do. It bugs me. A. Lot. Anyway - I loved coloring this sweet Birdie Brown image from Sunflower Sweetheart. She just oozes summertime. I flipped the sketch so that the image was facing towards all the fun little elements. I stamped her in Black Licorice Hybrid ink and then colored her with Copics (haven't used them in a LONG time). I tried to make her hat look like with was woven. Did it work? Meh. Sort of. Ha! I stamped the sentiment on one of the Conversation Bubbles from W Plus 9, which I shortened up just a bit to fit the sentiment a little better. 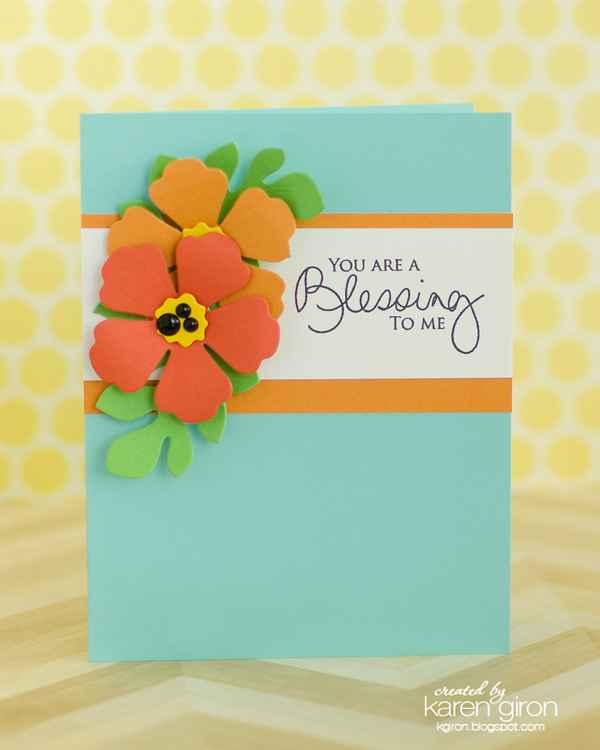 Please hop on over to the Sweet Sunday Sketch Challenge blog for a peek at all the cards the design team made this week - you can also link up your creation there as well! Hello there! After a much needed break from stamping, I am up and running this week! The end of the school year with added dance practices/recital and soccer tournaments really packs a punch, and I needed to give myself more room to breathe, so thank you so much for being patient with me *wink*. I've seen so many gorgeous techniques out there that a want to try too! I feel left behind. Ha ha! 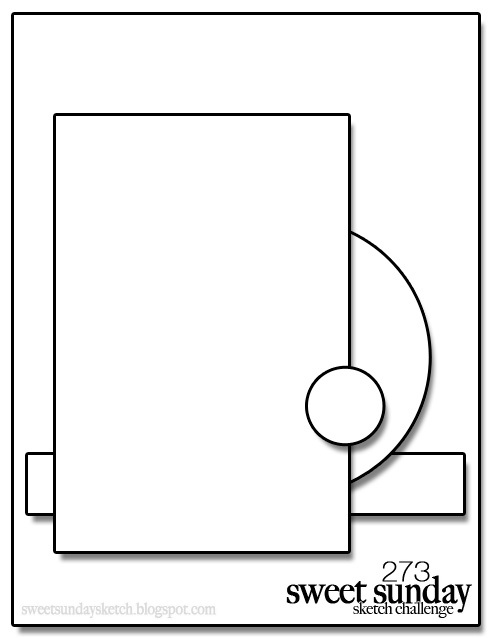 My card is pretty basic and clean - I let the die cuts do all the talking, which makes a quick and easy card and hopefully I will catch up to my creative mojo soon. 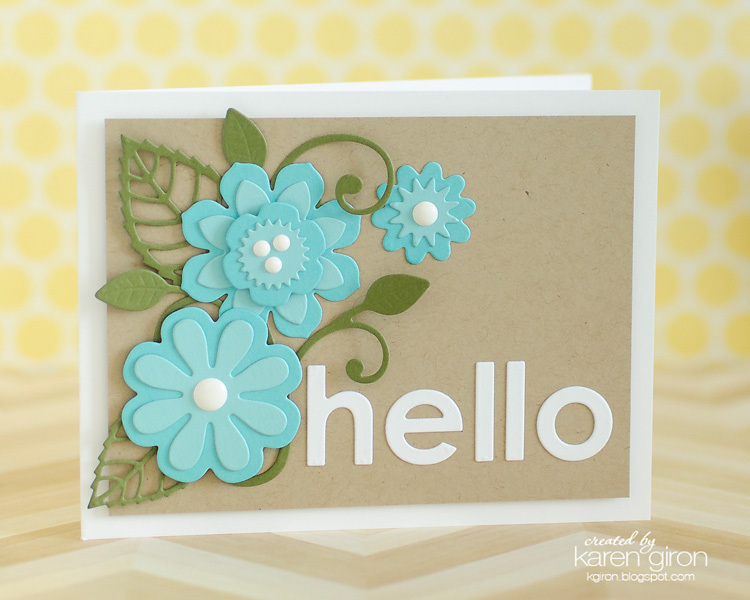 The card base is Summer Splash (SWOON) and I added the Floral Fusion Die-namics over the top to add a little texture and interest. I was going to stamp a background, but I liked this better today. 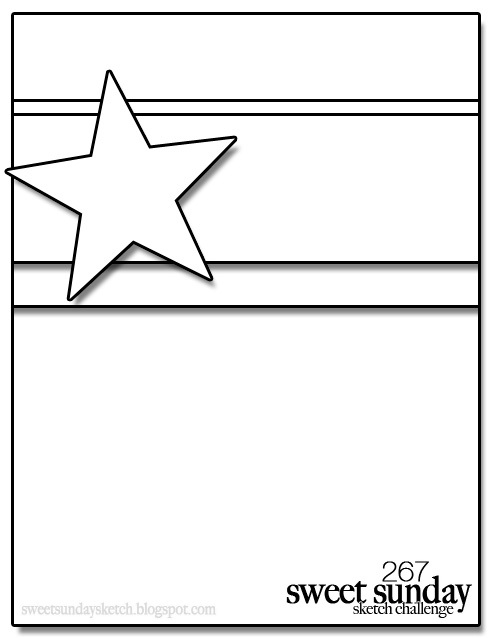 I used a Vertical Stitched Strips Die-namics in Lemon Chiffon, but I shortened the strip about 1/4" so it fit my card layout a little better. You can see this technique here. For the sentiment panel I used the Inside & Out Diagonal Stitched Rectangle STAX Die-namics (I can't wait to use this one more - yum!) 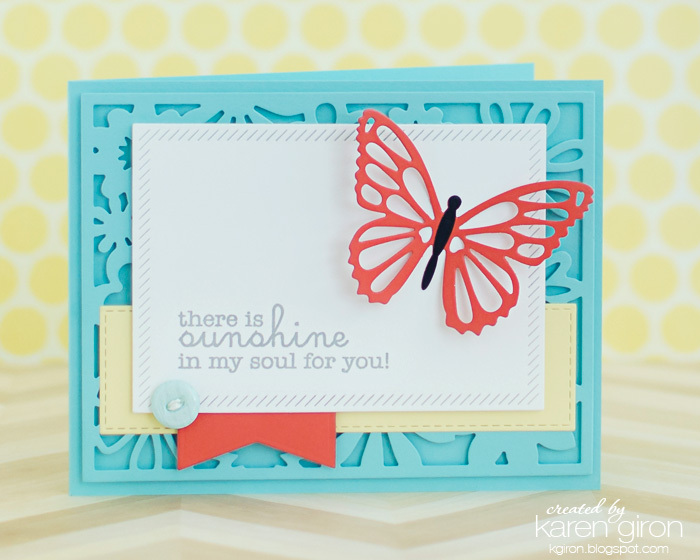 and added the sentiment from Cheerful Blessings in Smoke ink and a Persimmon butterfly from the new Flutter of Butterflies - Lace Die-namics set. I'm so glad it's summer!! That's it for me today - please be sure to stop by the Sweet Sunday Sketch blog to see all the beautiful cards the team has made this week. You can also add your project there as well. I hope you'll play along! It's the 5th of the month and time for the Verve Divas to bring you our monthly Diva Inspirations Challenge and Blog Hop! There are two ways to win Verve prizes: comment on the design team's blog hop posts (linked below) to see their take on the inspiration, then go get inky and link up your take on the challenge to be eligible in our prize drawings! Are you fueled by coffee, tea or cocoa? Find cupcakes irresistible? 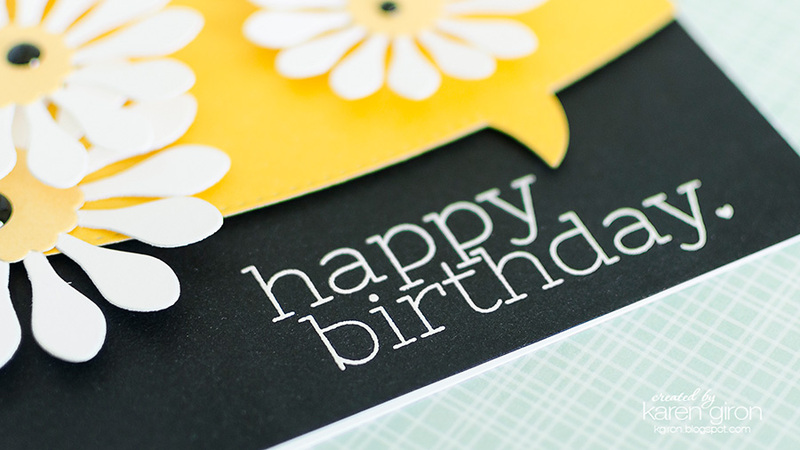 Create a card featuring an edible treat or favored beverage! Use the inspiration graphic as a starting point, or head off in your own direction - just leave us needing a fix of your favorite indulgence! Challenge deadline: Saturday, June 20. I kind of went out on a limb and used non-coffee colors for this card. 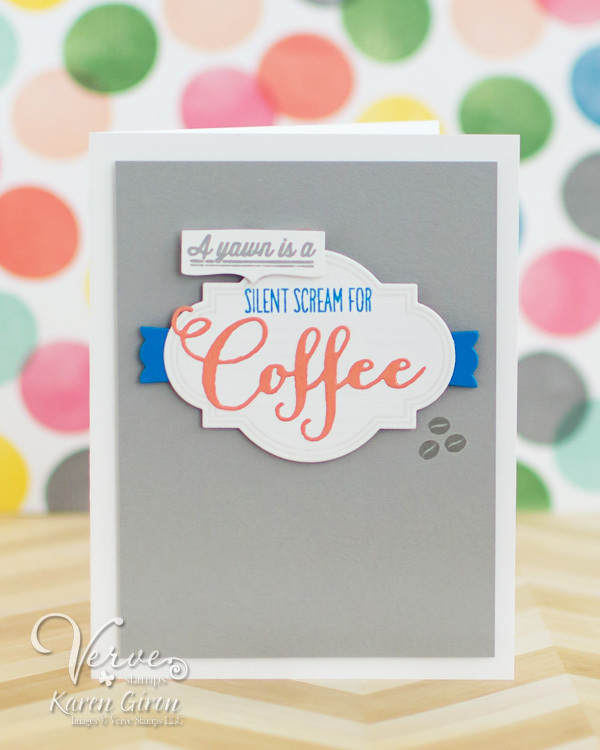 Usually when I make a card about coffee, I use kraft and brown and all things java. No brown or craft in this one! How about bright blue and coral? 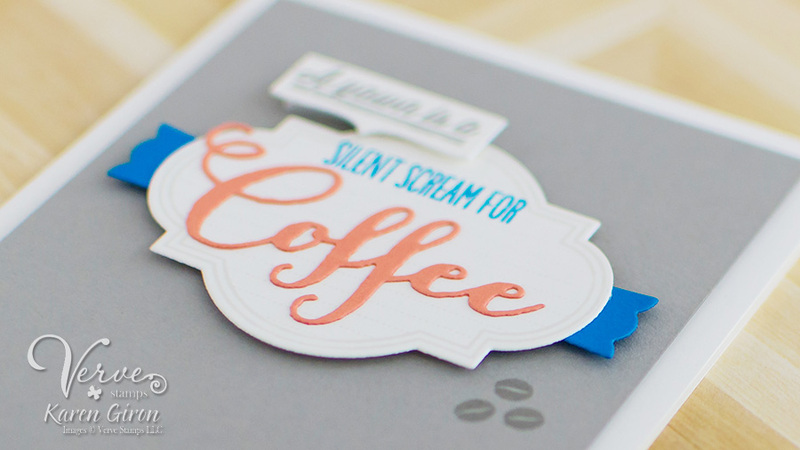 I grabbed the Coffee stamp set and split up the sentiment onto a Flag It die and the Classy Label die. 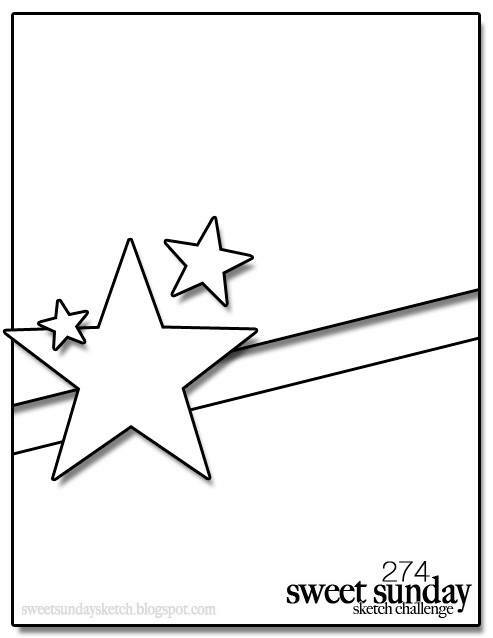 I stamped the border on the label with the coordinating image from Love Notes and then added a couple little flags under the sides of the label. Adds a little something fun, don't you think? 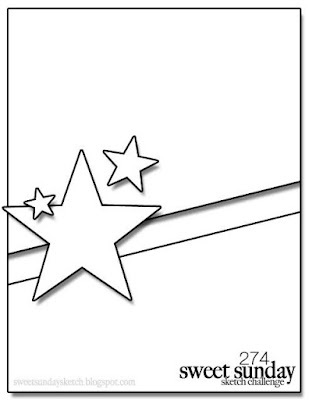 For this one, I changed up the star element to the Hibiscus Die-namics from MFT. 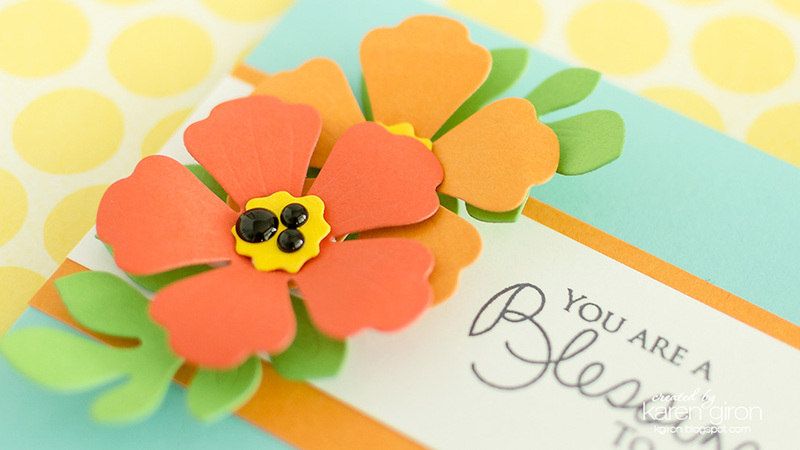 I cut out the blossoms from Persimmon and Orange Fizz card stock and then added some Green Room card stock leaves. I used a stylus to round out the leaves and petals so they have a more dimensional look to them. 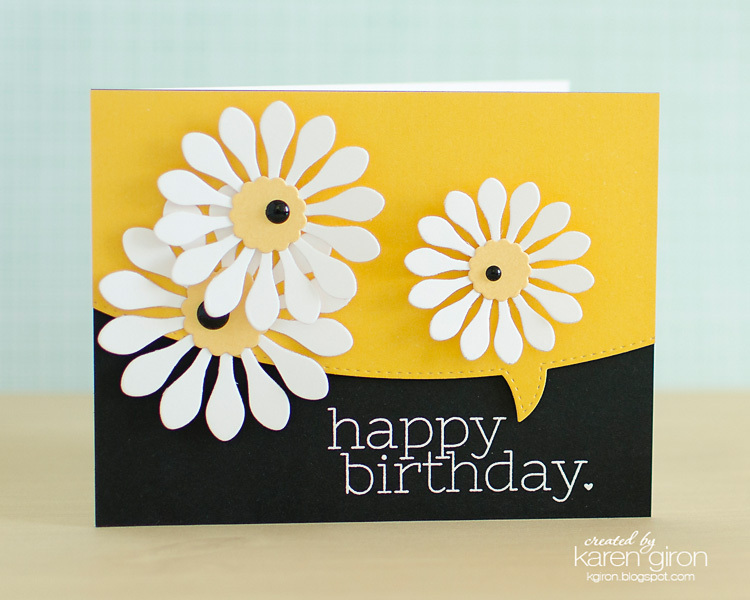 The flower center is Lemon Drop along with a few little black enamel dots. I stamped the sentiment from PTI's Signature Greetings in Black Licorice ink, and left it at that. I feel like it needs more, but my procrastination on this one is making me leave it as is. Ha! It will have to do. That's it for me today - please stop over and visit the Sweet Sunday Sketch Challenge blog, where you can find card samples from the team and you may link up your project there as well. Hello again! 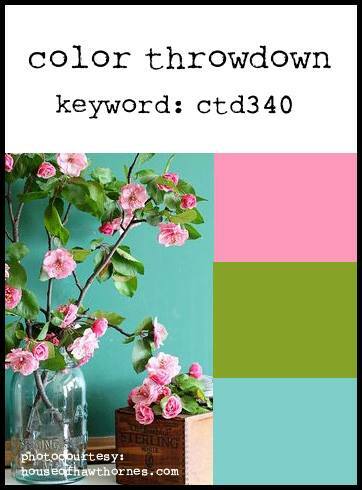 I cannot believe it's already the last Wednesday in April and my time as a guest designer for Color Throwdown is over. Sigh. I had a blast working with all of these amazing color palettes! We have another pretty palette for you all this week - pretty pink petals and gorgeous green leaves! 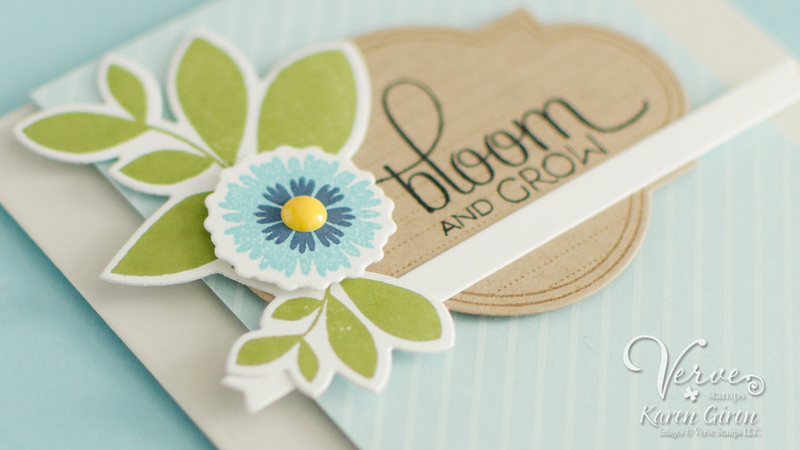 Ever since the My Favorite Things team debuted Modern Blooms, I've had my eye on it! And then once in the store, I had to buy some new colors of ink and card stock too. That's how I work. Like when you go into Target for, oh, I don't know - gum - and you come out with a new stackable organizational cubical system. You all know what I mean. Anyway... I was itching to ink up my new pretty petals and this challenge fit the bill! 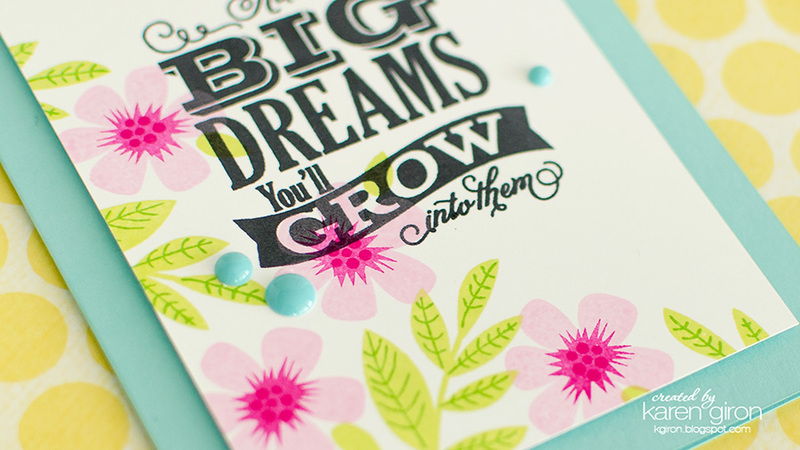 I started off by stamping this big beautiful sentiment from Chalkboard Greetings Too in Black Licorice ink and then added the Cotton Candy flowers in a scattered patter. Then I added the Limelight leaves and adding all the darker accents last. I'm telling you, go grab a flower building set - they are SO easy to work with and look ridiculously gorgeous when you're all finished. 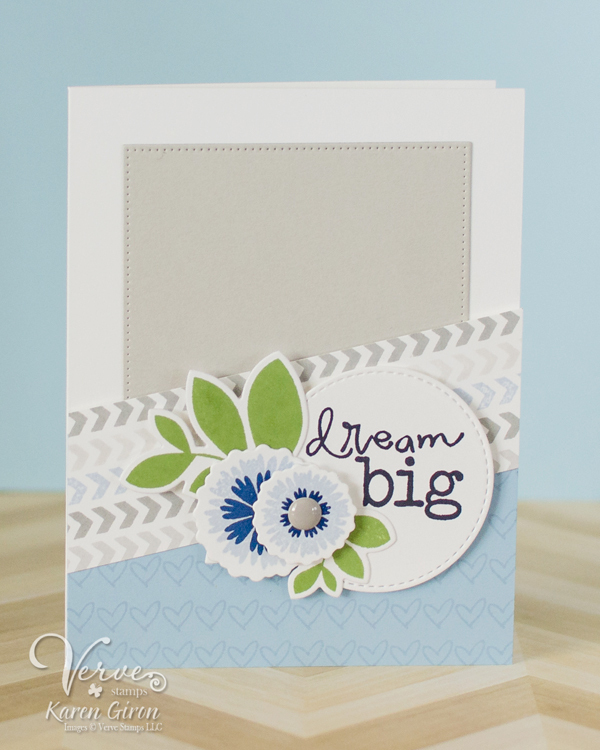 I popped the panel up with foam tape on to a Summer Splash card front and then added a few enamel dots for dimension. As you can see, I flipped the sketch so the sentiment fit the little circle accents better. 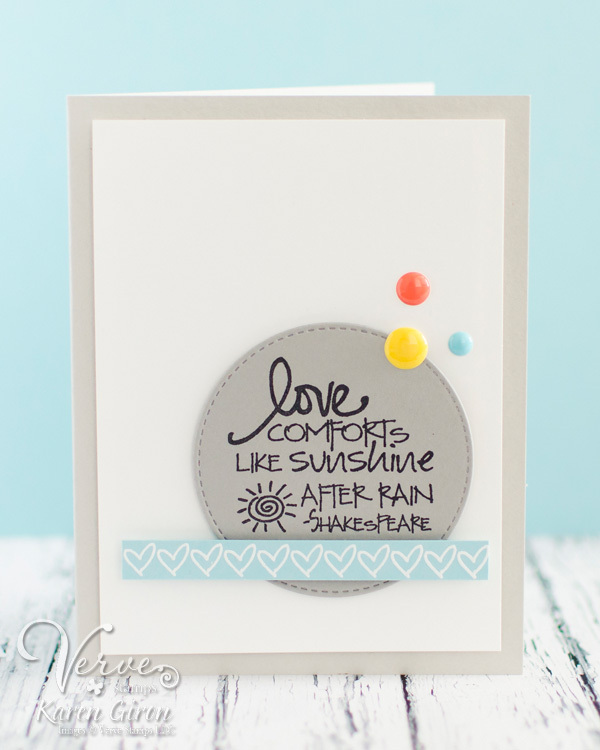 I started by cutting out the Stitched Circle STAX Die-namics in Smoke card stock and then stamped this beautiful sentiment from Verve's Stronger Love stamp set in black ink. I also stamped the hearts from Borderline in sweet tooth ink and heat embossed them with white embossing powder. 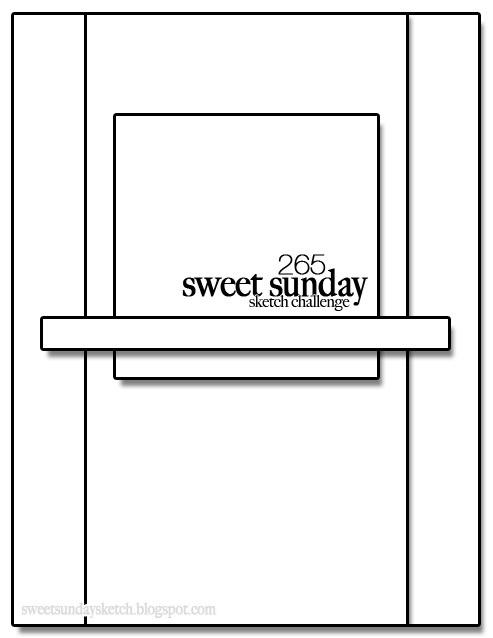 Be sure to stop by the Sweet Sunday Sketch Challenge blog for a peek at all the design team cards and you will be able to link up your challenge card there as well. Have fun! Hello and happy Wednesday! 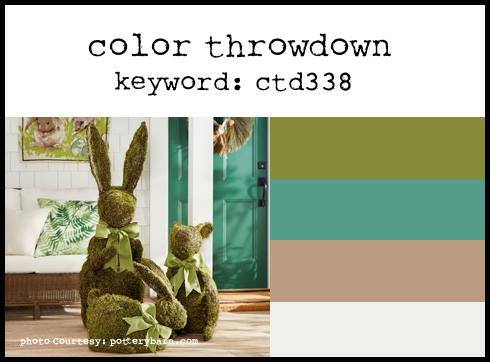 It's time for another Color Throwdown challenge and this week it a dramatic color palette - take a peek! Gorgeous, right?! 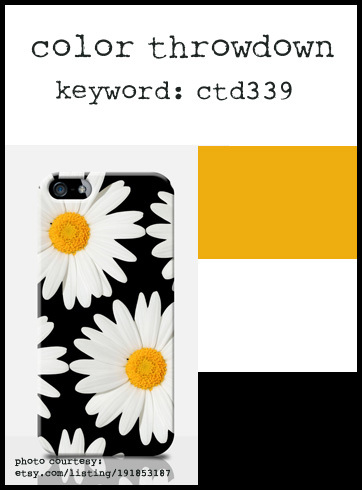 I loved the daisies on the cell phone cover and wanted to use those on my card too. I cut out a few of the Plentiful Petals Die-namics in Smooth White card stock and then added some shimmery yellow card stock in the center (with some black enamel dots too, of course). 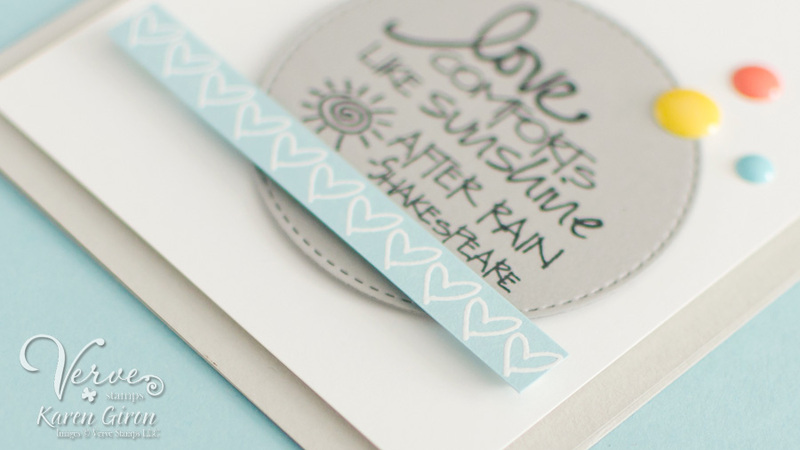 I stamped the sentiment in Sweet Tooth pigment ink and heat embossed it with white embossing powder. Love the look of the white lettering on black. Yummy! As you can see, I changed it up a bit and used the Classy Label Die instead of a rectangle, I thought it would be fun to switch up the straight lines. 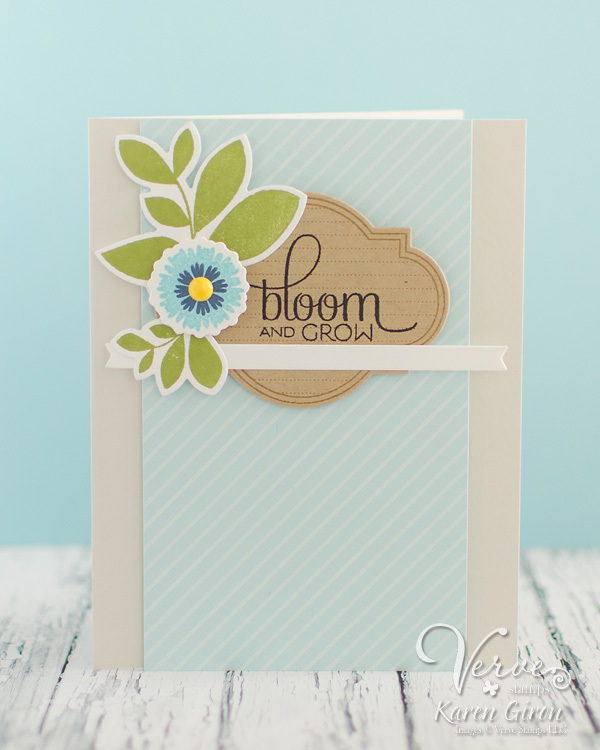 I added the sentiment from Bloom & Grow and then stamped some of the flower and leaf images from that set as well. Love those leaves! 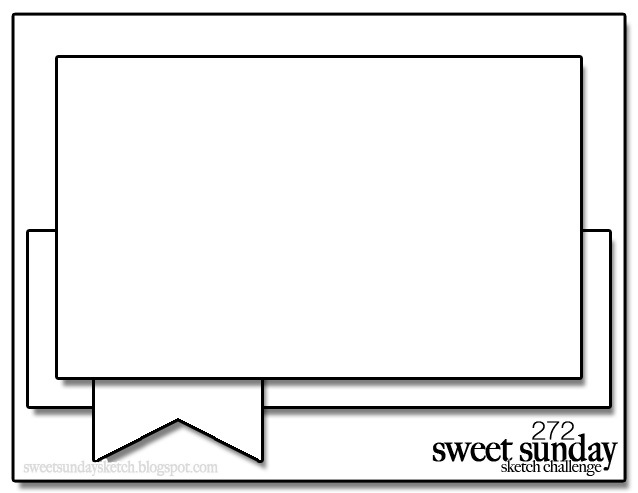 Please head on over to the Sweet Sunday Sketch Challenge blog for a look at all the design team cards, and you can add your project to the linky there as well. Doesn't it just scream spring? I have forgotten how much I love using kraft card stock. It's such a delicious neutral and now I'm needing to use it again. Lots. 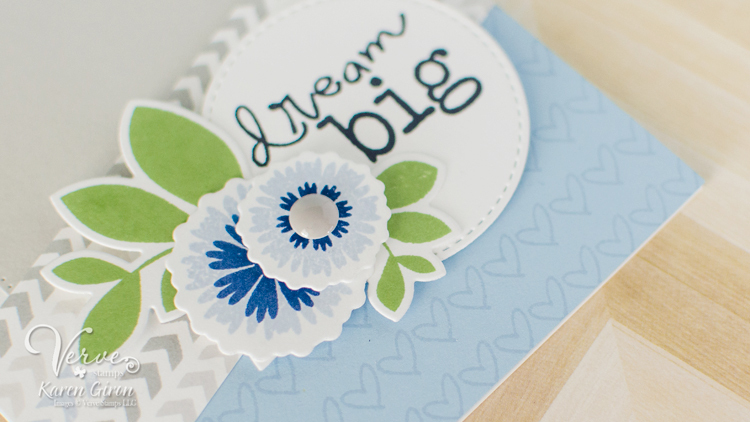 I went all kinds of flower crazy today - I used Flower Medley Die-namics from MFT in Blu Raspberry and Summer Splash card stock. I added the Leaf-Filled Flourish and some Layered Leaves in Jellybean Green card stock underneath. I really love this leafy vine combo! 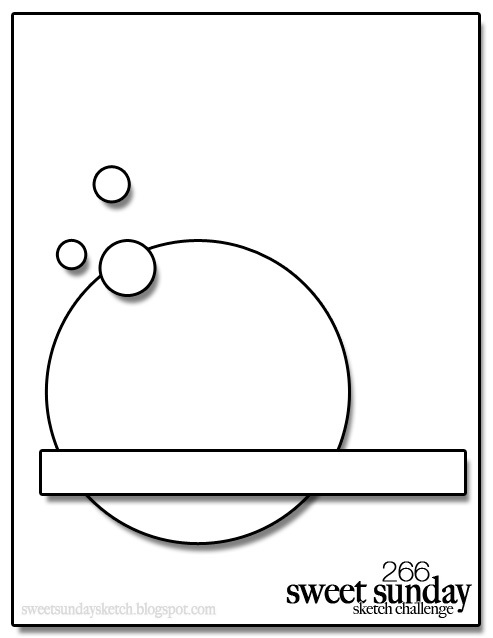 The sentiment is one of the Happy Hellos Die-namics in Smooth White. I used the negative of the die cut to help me place the letters nice and neat. 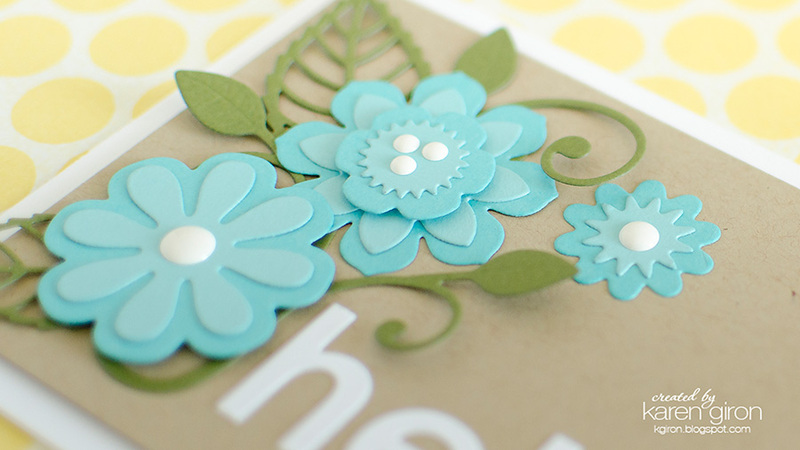 I also added a few white enamel dots to the flowers to help balance out the white.